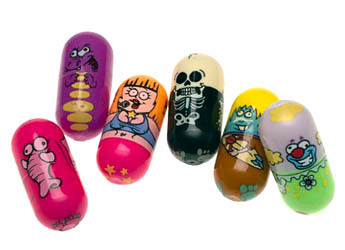 Mighty Beans - Play, race, and collect them. Mighty Beans perform amazing tricks and flips. Race them high speed down any tilted surface. Play special games designed around them. Swap and trade yours until you have collected all 60.